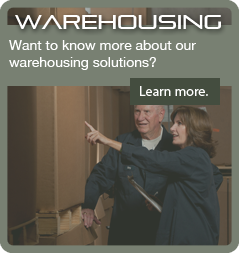 In recent years, we noticed many of our local manufacturers increasing need for off-site warehousing. In an effort to help streamline their inventory management, we added significant amounts of warehouse space and now offer distribution and logistical services. Our warehouses are located in Trinity, AL, near major transportation routes, and are convenient to many of the industries in the Tennessee Valley area. We have over 300,000 square feet of warehouse space dedicated to distribution and inventory management services. Our services include, but are not limited to, the storage and handling of raw, semi-finished, and finished goods, as well as customized networking and reporting capabilities. There are several lease options available that can be customized based on individual needs. We provide more than a safe, clean space for you to store your inventory. Our staff has extensive experience and education in logistics and warehouse management. We are able provide a wide range of logistics-related services, If you would like to learn more about our warehousing services please contact us and let us know how we might be of service to you.